The Terms of business for consumer contracts will be in accordance with statutory rights provided by the Sale of Goods Act 1979 (as amended) or Supply of Goods and Services Act 1982 and The Consumer Protection (Distance Selling) Regulations 2000 where appropriate. 1. You have the right to cancel this order within seven working days beginning the day after the day on which you signed the contract for the purchase of shutters. 2. If you wish to cancel this contract you must indicate this in writing or another durable medium such as letter, email (Purely Shutters Ltd., Unit 8M Maybrook Business Park, Minworth, Sutton Coldfield, B76 1AL info@purelyshutters.co.uk) within the cancellation period. 1.1 The Supplier shall supply and the Customer shall purchase the Goods and Services in accordance with the Sales Order Confirmation which are subject to these Conditions. “Commencement Date” means the commencement date for this agreement as set out in the Sales Order Confirmation. “the Services” means the Services to be provided to the Customer as set out in the Sales Order Confirmation. 3.3.3 the Supplier’s invoice (Sales Order Confirmation). 5.1 With effect from the Commencement Date the Supplier shall, in consideration of the Fees being paid in accordance with the Terms of Payment will provide the services expressly identified in the Sales Order Confirmation or otherwise agreed under this agreement. 5.2 The Supplier will use reasonable care and skill to perform the services identified in the Sales Order Confirmation or otherwise agreed under this agreement. 6.1 The price of the Goods and Services shall be the price listed in Sales Order Confirmation current at the date of acceptance of the Customer’s order or such other price as may be agreed in writing by the Supplier and the Customer. Where the Supplier has quoted a price for the Goods other than in accordance with the Supplier’s published price list the price quoted shall be valid for 5 days only or such lesser time as the Supplier may specify. 6.2 The Supplier reserves the right, by giving notice to the Customer at any time before delivery, to increase the price of the Goods and Services to reflect any increase in the cost to the Supplier which is due to any factor beyond the control of the Supplier (such as, without limitation, any foreign exchange fluctuation currency regulation, alteration of duties, significant increase in the costs of labour, materials or other costs of manufacture), any change in delivery dates, quantities or specifications for the Goods and services which are requested by the Customer, or any delay caused by any instructions of the Customer or failure of the Customer to give the Supplier adequate information or instructions. 6.3 Except as otherwise stated under the terms of any Sales Order Confirmation or in any price list of the Supplier, and unless otherwise agreed in writing between the Customer and the Supplier, all prices are inclusive of the Supplier’s charges for packaging and transport as specified in the Sales Order Confirmation. 6.4 The price is exclusive of any applicable value added tax excise, sales or taxes or levies of a similar nature which are imposed or charged by any competent fiscal authority in respect of the Goods and Services, which the Customer shall be additionally liable to pay to the Supplier. 6.5 There is no minimum order. 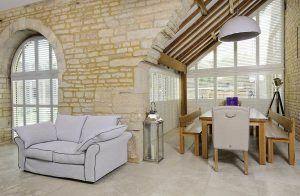 There is a minimum fitting charge which is included on our Websites quick quote facility. 7.1 All payments are required to be made as follows: 50% at time of order and the remaining balance on completion of the installation/or delivery as per the Sales order Confirmation. 7.2 The time of payment shall be of the essence of these terms and conditions. If the Customer fails to make any payment on the due date in respect of the price or any other sum due under these terms and conditions then the Supplier shall, without prejudice to any right which the Supplier may have pursuant to any statutory provision in force from time to time, have the right to charge the Customer interest on a daily basis at an annual rate equal to the aggregate of 2.5 per cent and the base rate of HSBC from time to time on any sum due and not paid on the due date. Such interest shall be calculated cumulatively on a daily basis and shall run from day to day and accrue after as well as before any judgement. 8.1 Delivery of the Goods shall be made by the Supplier delivering the Goods to the place in the United Kingdom specified in the Sales Order Confirmation. 8.3 If the Customer fails to take delivery of the Goods or any part of them on the Delivery Date and/or fails to provide any instructions, documents, licences, consents or authorisations required to enable the Goods to be delivered on that date, the Supplier shall be entitled upon given written notice to the Customer to store or arrange for the storage of the Goods and then notwithstanding the provision of Condition 10.1of these Conditions risk in the Goods shall pass to the Customer, delivery shall be deemed to have taken place and the Customer shall pay to the Supplier all costs and expenses including storage and insurance charges arising from such failure. 8.4 With effect from the Commencement Date the Supplier shall, in consideration of the amount(s) being paid in accordance with the Sales Order Confirmation, provide the services expressly identified in the Sales Order Confirmation or otherwise agreed under this agreement in writing. 9.1.2 if the Customer gives written notice to the Supplier within 15 business days after the Delivery Date and the Supplier fails to deliver the Goods and Services within 15 business days after receiving such notice the Customer may cancel the order and the Supplier’s liability shall be limited to the excess (if any) of the cost of the Customer (in the cheapest available market) of similar goods to those not delivered over the price of the Goods not delivered..
10.1.3 in the case of goods being installed by the Supplier, the time that the Supplier notifies the Customer that the installation will commence. 12.2 but the Supplier shall have no further liability to the Customer in respect thereof and the Customer may not reject the Goods if delivery is not refused or notice give by the Customer as aforesaid. 12.3 No Goods may be returned to the Supplier without the prior agreement in writing of the Supplier. Subject thereto any Goods returned which the Supplier is satisfied were supplied subject to defects of quality or condition which would not be apparent on inspection shall either be replaced free of charge or, at the Supplier’s sole discretion the Supplier shall refund or credit to the Customer the price of such defective Goods but the Supplier shall have no further liability to the Customer. 12.4 The Supplier shall be under no liability in respect of any defect arising from fair wear and tear, or any wilful damage, negligence, subjection to normal conditions, failure to follow the Supplier’s instructions (whether oral or in writing), misuse or alteration of the Goods without the Supplier’s approval, or any other act or omission on the part of the Customer, its employees or agents or any third party. 12.5 Goods, other than defective Goods returned under Conditions 12.1 or 12.2, returned by the Customer and accepted by the Supplier may be credited to the Customer at the Supplier’s sole discretion and without any obligation on the part of the Supplier. 12.6 Subject as expressly provided in these Conditions, and except where the Goods are sold under a consumer sale, all warranties, conditions or other terms implied by statute or common law are excluded to the fullest extent permitted by law. 12.7 The Customer shall be responsible to ensure that, except to the extent that instructions as to the use or sale of the Goods are contained in the packaging or labelling of the Goods, any use or sale of the Goods by the Customer is in compliance with all applicable statutory handling and sale of the Goods by the Customer is carried out in accordance with directions given by the Supplier or any competent governmental or regulatory authority and the Customer will indemnify the Supplier against any liability loss or damage which the Supplier might suffer as a result of the Customer’s failure to comply with this condition. 13.2 While the Goods remain in the Seller’s possession the Seller is under a duty to ensure that the Goods are kept safe and secure. 13.3.1 If the total purchase price of the returned Goods is less than £250 the charge payable by the Customer for the return is £20. 13.3.2 If the total purchase price of the returned Goods is more than £250 the charge payable by the Customer for the return is £80. 13.4 Where the Goods are custom made to the order of the Buyer, the Buyer shall not be entitled to return the Goods and receive a refund unless the Goods are faulty. The statutory rights of the Buyer are unaffected. 14.3 If this Condition applies then, without prejudice to any other right or remedy available to the Supplier, the Supplier shall be entitled to cancel the Contract or suspend any further deliveries under the Contract without any liability to the Customer, and if the Goods have been delivered but not paid for the price shall become immediately due and payable notwithstanding any previous agreement or arrangement to the contrary. 15.1.1 If the Supplier fails to perform the service with care and skill it will carry out remedial action at no extra cost to the Customer. If no remedial action is possible the Supplier will pay for the damage caused. 15.1.2 15.1.2.1 All goods should be fully inspected prior to installation. 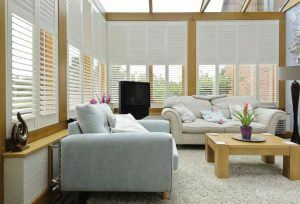 The buyer must check that the shutters and blinds are in accordance with the purchase order both for colour and design prior to installation. The seller cannot accept responsibility in circumstances where the buyer is not present at the delivery/installation address. 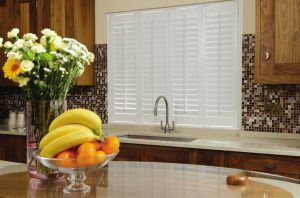 15.1.2.2 The buyer must check that shutters and blinds are to colour sample prior to installation. The seller cannot guarantee precise colour matching against samples, our products are made from a natural material. Minor imperfections not readily apparent at a distance of four feet under ordinary light will not be accepted as defects. Colour matching of finishing products (eg paints and stains) cannot be guaranteed although every reasonable effort will be made to ensure the accuracy of the finished product. 15.1.2.3 The seller cannot guarantee the goods against fading especially as a result of exposure to sunlight where fading may occur. Our goods are not guaranteed against extreme damp or variable conditions. 15.1.2.4 The seller reserves the right to withdraw any products and colours at any time without prior notice and cannot be held responsible for any consequences, caused by the withdrawal of such products. 15.1.2.5 Under no circumstances, except in respect of death or personal injury caused by the sellers negligence does the seller accept liability for consequential loss, damage costs or expenses, however arising and any liability for any such consequential loss damage is hereby specifically excluded. Should a claim be made the seller’s liability is limited to value of funds received by the buyer. 15.1.2.6 The seller gives no warranty as to the fitness of the product supplied for any purpose other than that of an internal window dressing as surveyed by the company, other installation and uses are the risk of the buyer. 15.1.2.7 Tolerance levels of overall panel specifications are plus or minus 3mm, and the product will not be considered defective if falling within the size range. Warping on any component part, vertical or horizontal, shall not exceed 1mm per 300mm and shall not be considered defective if within this tolerance. 15.1.2.8 Limitations. 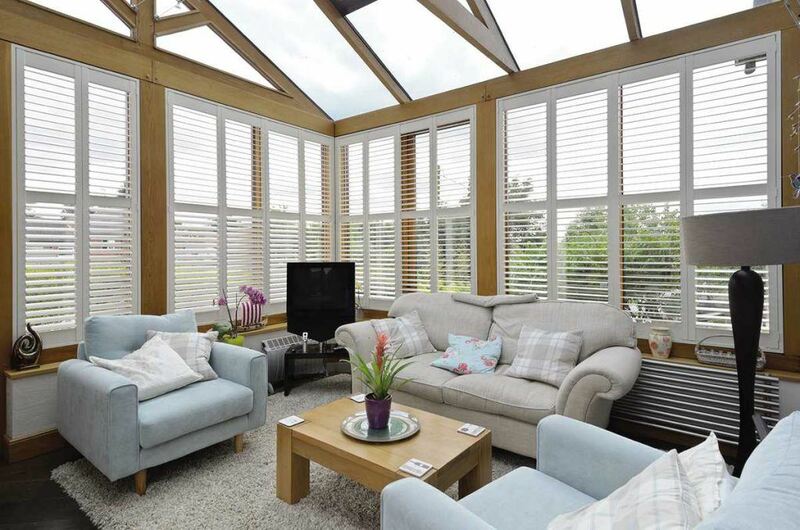 It is recommended that panels be ordered within our normal specification range. For example, panels above 1800mm in height are ordered with a divider rail, and panel widths do not exceed 650mm. We may exceed the limitation at your request, but in doing so we cannot accept responsibility for problems that result. It is also acceptable for a divider rail to be plus or minus half the depth of the louvre size selected. Customers can specifically request a Mid-rails/Divider rails to be located at a precise point but this would result in the top and bottom rails being significantly different in size. If a customer specifically request the Mid-rails/Divider rails to be at a precise point, this request will be noted on the Sales Order Confirmation. 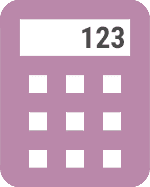 15.1.2.9 If the buyer is not present when the openings/property is surveyed or when the shutters are installed we will measure/install the shutters in accordance to our standard practices unless agreed prior to confirmation in writing. If the buyer chooses to install against our recommendation then liability will be theirs. 15.1.2.10 If installers are paid by the clients directly the seller cannot accept liability for any damage. The foregoing is in substitution for all other terms, express or implied relating to the quality or fitness for purpose, and all such terms are hereby excluded. This does not, however, affect the consumer’s statutory rights. 15.1.2.11 On installation of the shutters/blinds we may be required to make adjustments or alterations to the component parts of the shutters/blinds and/or the frames that the shutters are hinged to. These adjustments will be made to our standard practices. In cases where an opening is not square, we will be required to use cover strips or sealant to conceal any gaps/imperfections. 15.1.2.12 The buyer is responsible for all choices that are made a time of survey. Once an order has been placed design options, products, colours etc can not be changed. Unless at the cost to the buyer. 15.1.2.13 The buyer is responsible for notifying the seller of any changes that are to occur to the windows, doors or opening sizes at time of measure and/or order. 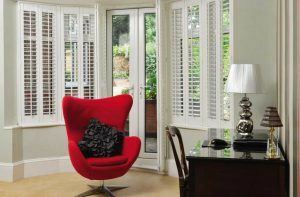 If changes are made to the windows, doors or opening sizes replacement parts or shutters will only be ordered to the cost of the buyer. 15.2.1.2 (in the case of the communications to the Customer) to the registered office of the addressee (if it is a company) or (in any other case) to any address of the Customer set out in any document which forms part of the Contract or such other address as shall be notified to the Supplier by the Customer. 15.2.2.3 if sent by fax or electronic mail on a Business Day prior to 4.00 pm, at the time of transmission and otherwise on the next Business Day. 15.2.3 Communications addressed to the Supplier shall be marked for the attention of Mr Andrew Haller. 15.3.1 In the event that either party is prevented from fulfilling its obligations under this Agreement by reason of any supervening event beyond its control including but not limited to war, national emergency, flood, earthquake, strike or lockout (subject to Sub-clause 17.2) the party shall not be deemed to be in breach of its obligations under this Agreement. The party shall immediately give notice of this to the other party and must take all reasonable steps to resume performance of its obligations. 15.3.2 Sub-clause 17.1 shall not apply with respect to strikes and lockouts where such action has been induced by the party so incapacitated. 15.3.3 Each party shall be liable to pay to the other damages for any breach of this Agreement and all expenses and costs incurred by that party in enforcing its rights under this Agreement. 15.3.4 If and when the period of such incapacity exceeds 6 months then this Agreement shall automatically terminate unless the parties first agree otherwise in writing. 15.4.1 No waiver by the Supplier of any breach of the Contract by the Customer shall be considered as a waiver of any subsequent breach of the same or any other provision. 15.5.1 If any provision of these Conditions is held by any competent authority to be invalid or unenforceable in whole or in part the validity of the other provisions of these Conditions and the remainder of the provision in question shall not be affected thereby. 15.6.1 A person who is not a party to the Contract shall have no rights under the Contract pursuant to the Contracts (Rights of Third Parties) Act 1999. 15.7.1 These terms and conditions shall be governed by the laws of England and Wales and the parties agree to submit to the exclusive jurisdiction of the English and Welsh courts.